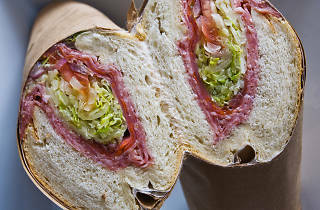 Taylor Gourmet | Restaurants in H Street Corridor, Washington D.C. 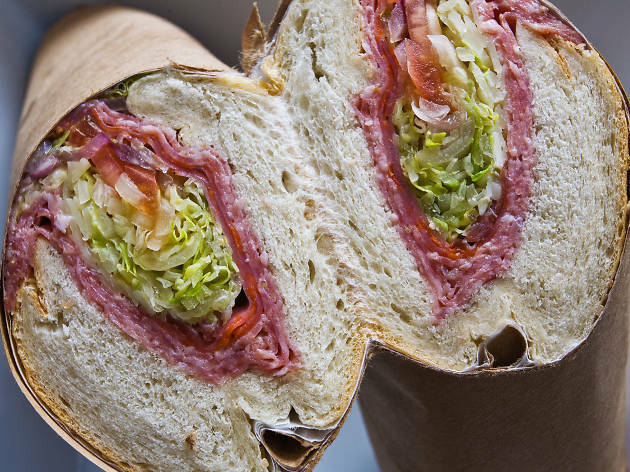 This mini chain of delis was started by two guys from Philadelphia, and it shows: the hoagies—high quality Italian-style ingredients piled high on thick, chewy rolls—are all named for streets in Philadelphia. There’s the Lombard Street, stacked with soppresata, salami, red peppers, pesto and mozzarella, for example, or the Lancaster Avenue—breaded eggplant topped with marinara sauce and sharp provolone. A side of fried risotto balls make a great—if heavy—accompaniment. If you’re less hungry, the arugula and pastina salads make a nice light lunch.